Twenty one of Oriana’s Marine Specimens images are included in the Birch Aquarium’s newest exhibit, Oddities: Hidden Heroes of the Scripps Collections, and will be on display for the next year in an interactive format. 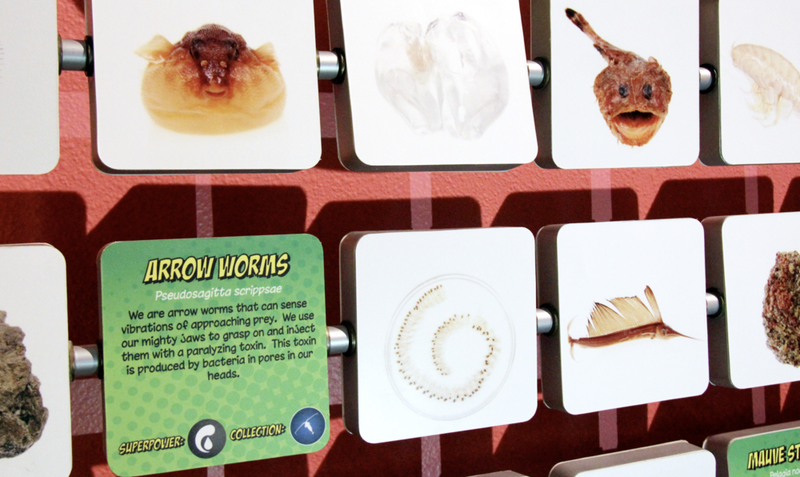 An on-going exhibit, Oddities is created in partnership with the team from the Scripps Oceanographic Collections, where millions of specimens allow scientists to understand some of the amazing adaptations marine creatures have developed to survive. The Aquarium is open to the public daily from 9-5. The exhibit Treasures from the Scripps Collection will be shown at the Qualcomm Headquarters as a part of their Earth Week Celebrations. 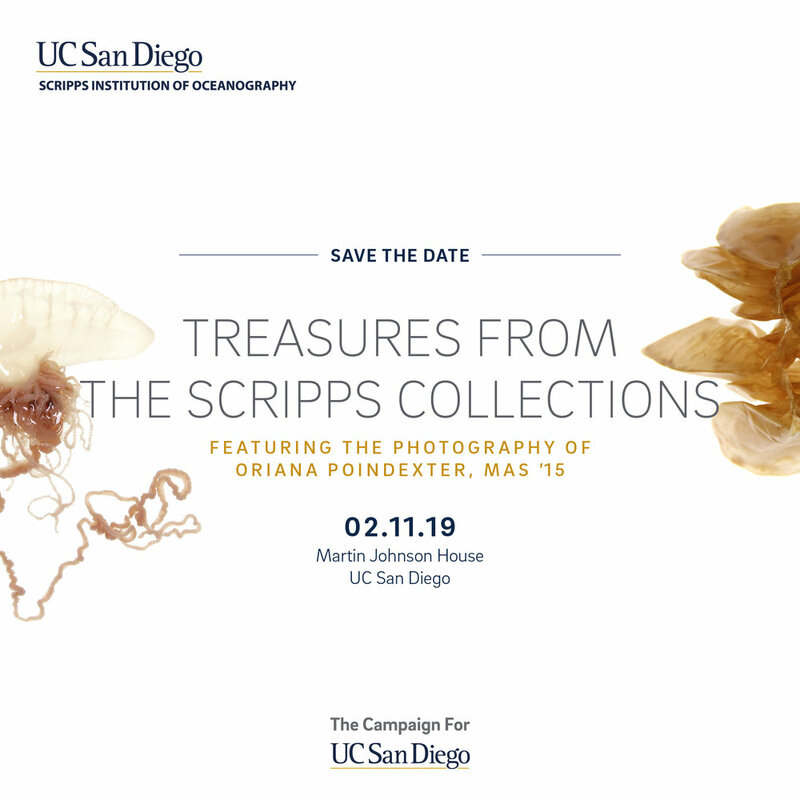 The Mission Hills Wine Cellar will be hosting a four day exhibit of the Treasures from the Scripps Collections exhibit, with an opening reception scheduled for Saturday, June 1, 2019. Open to the public. Two pieces from Oriana’s Pacific Dreamstates series are a part of the Climate Science Alliance’s traveling exhibit, Art of Change. 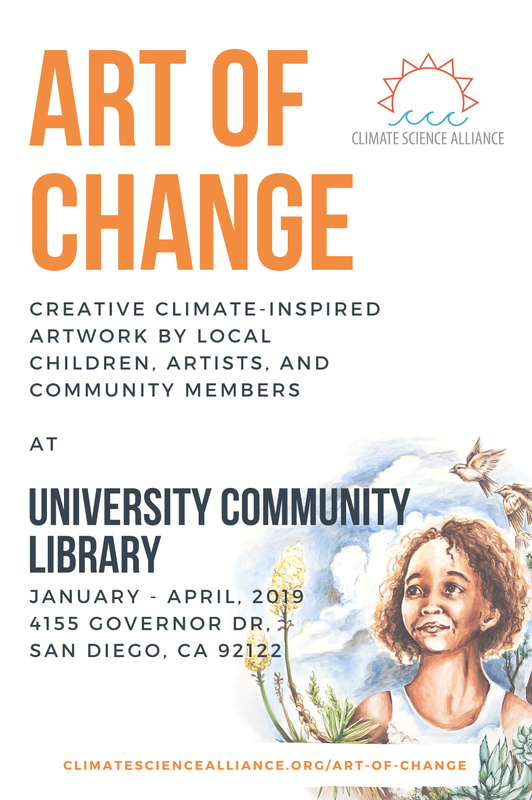 They are on display at the University Community Library through March 26, 2019. 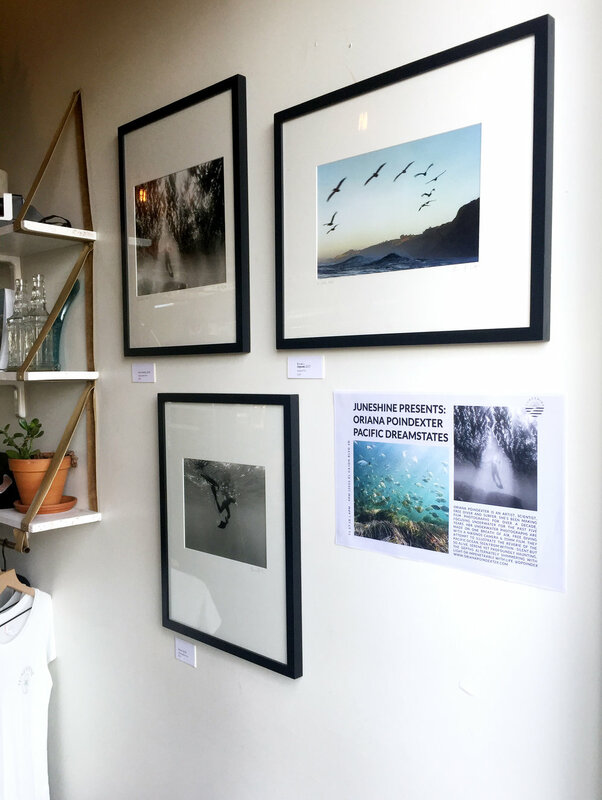 Join Oriana at JuneShine for an exhibition of underwater photography. 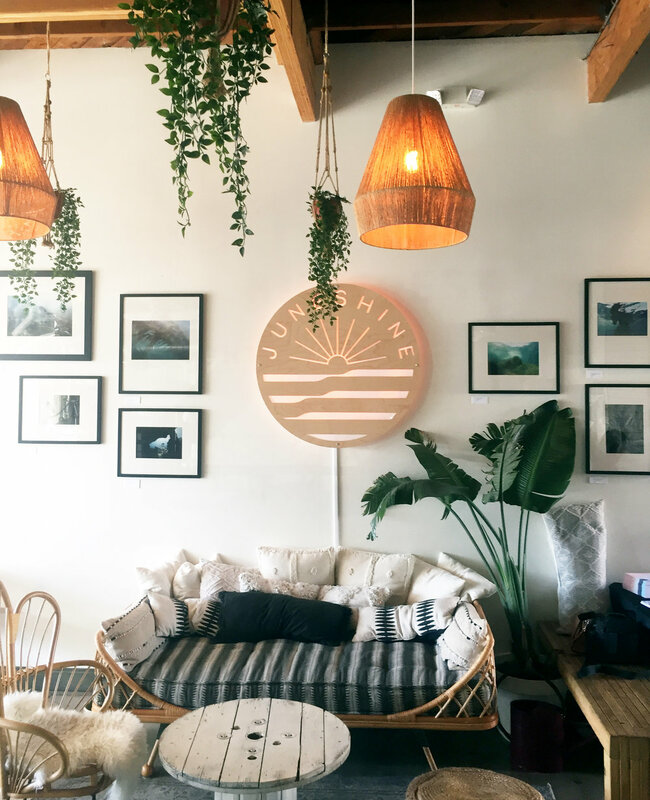 Oriana will be showing fifteen images from her Pacific Dreamstates series at Juneshine, the world's first hard kombucha bar. These photographs are all made while freediving with a Nikonos camera and 35mm film, and offer a unique perspective from underneath the surface of our local waters. Prints will also be available for purchase. This event is free to attend and open to the public. Come support local artists and stay for the locally brewed hard kombucha! BONUS: Hakuna Wear will be doing a pop-up during the show, come check out their stay-put wetsuits and swimwear! AND we've got a pile of some of the last copies of Sea Together Magazine Issue 001 available for sale as well. We exist to be a creative light in the community through art + music. Join us Friday night for an evening of local artist and be inspired by either the art, music or conversations! Kids are welcome so bring your whole crew and we will have interactive art for the kids. National Geographic produced a four episode mini-series, San Diego in the Spotlight, covering all the things that make San Diego the amazing city it is. Oriana is featured in Episode 4, City of Diversity, which airs nationally on the National Geographic Channel on Thursday 11/8 at 4pm PST, and Saturday 11/10 at 6am PST. The San Diego Tourism Authority is hosting a viewing party for Episode 4 at Stone Brewing in Liberty Station on Thursday 11/8 from 7-8pm PST. Hope to see you there! Additional information from the San Diego Tourism Authority and coverage from San Diego Union Tribune and ABC10. You can watch episodes online after they air at National Geographic TV. A sneak peek of Episode 4 is available here on National Geographic TV’s Facebook page. The goal of S3 is to provide a platform for Scripps graduate students to present and discuss their research with colleagues from all curricular groups, to foster interdisciplinary collaboration amongst the student population, and to introduce the new first-years to the wide variety of research Scripps has to offer. The presentations should be designed to be understandable not just to specific fields, but to the broader Scripps community. 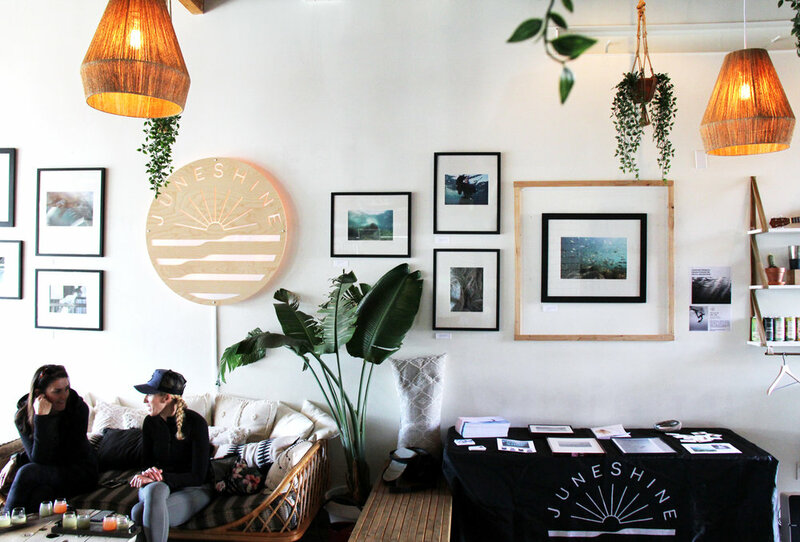 Thanks to all the folks who joined us to celebrate the San Diego launch of Sea Together Magazine, hosted at Juneshine in North Park! Read about the event on the Sea Together blog here. Oriana will be showing some of her work alongside three other contributors to Issue 001 -- Corina Rose Barnick, Maggie Higgins, and Megan Barrett, while Brooke Gudenau will be doing a live surf painting. The Aloha Collection and Psychedelic Honey will be doing a pop-up, and Kirby Ai will be playing a live set. Sea Together will also be raffling off goods from Manda, The Aloha Collection, Psychedelic Honey, and Leap Coffee, along with a surfboard from Foamy surf! Oriana was one of six invited panelists to speak at this Behind the Scenes event at the Scripps Institution of Oceanography. Other panelists included Kelly Fukushima (commerical fisherman, FV Three Boys), Dr. Heidi Dewar (NOAA SWFSC), Dr. Jen Smith (SIO), Samantha Murray, JD (SIO), and Chef Davin Waite (Wrench & Rodent Seabasstropub). 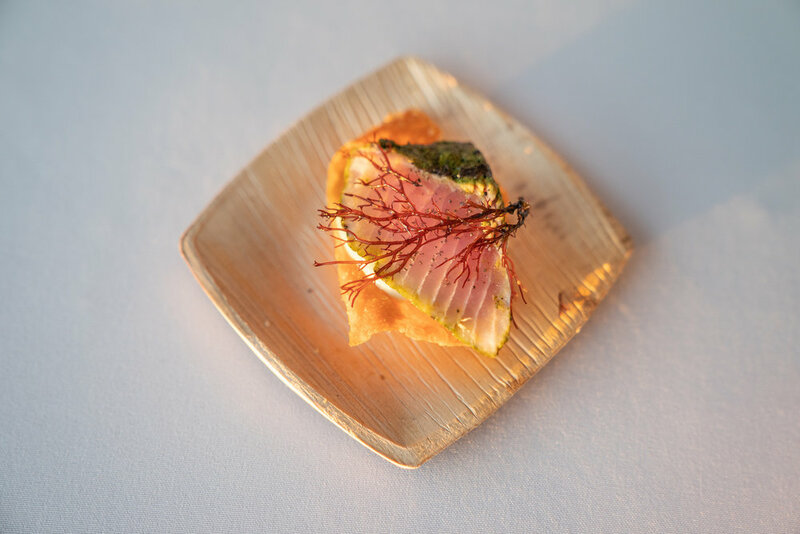 The event was covered by the San Diego Union Tribune, with photographs below by Sam Wells of Chef Epic. More event photos by Katie Gardner here. 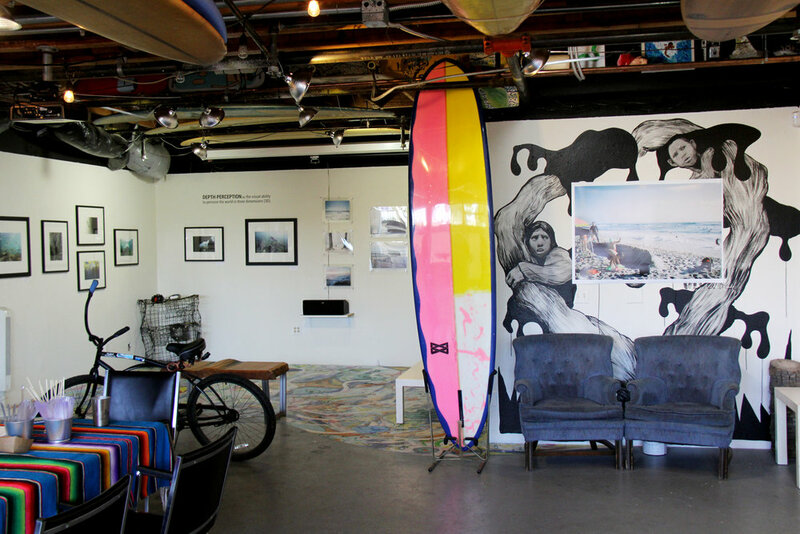 A drone pilot, free diver, and film enthusiast are teaming up to bring a multi-varied perspective on the coast to the Misfit Gallery on Pearl. Sponsored by Karl Strauss.